Whether it’s in a few months or more than a decade away, eventually we will help our children pack up and move them into a dorm, apartment or house of their own. We hope that all we did to teach them how to be productive, respectful and kind human beings will stick. We cross our fingers they have a great roommate. And that they are a great roommate! Did we instill the importance of keeping their stuff picked up, being quiet when other people are sleeping, doing their own dishes? Did we teach them how to take care of their dirty laundry? By sending your children to camp, you give them the opportunity to learn what it’s like to live with people other than their immediate family. It helps them prepare for opportunities in the future (college, marriage, etc) where they will be sharing the same space with other people. Being a good roommate is an important quality. Learning how to deal with other people who aren’t the world’s best roommates is also an important life skill. Campers are expected to respect each other’s space and personal belongings. Everyone is responsible for keeping the cabin picked up and clean. Counselors help show campers how to communicate their feelings about another’s actions. 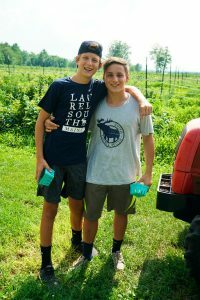 Being able to effectively communicate an issue or problem you have with someone you’re living with is a valuable life skill campers learn by living with their peers. Many campers plan to move away to college, where they will be living in a dorm or apartment with other students. 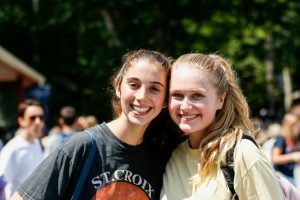 If they have the experience of living with others at camp, it will prepare them for the kind of roommate they want (and don’t want) to be. Having counselors in the cabins also helps to ensure all campers feel safe and respected. Sending your kids to Laurel South gives them a big head start in the rule of sharing their space. And, with our fingers still crossed, that should make the day we move them into the dorms that much easier.